Our aim is to provide financial advisors with excellent continuous support and work together to build successful business relationships. We have a comprehensive and competitive product range. Our group pension products include both defined benefit and defined contributions pensions. We also offer PRSAs (Personal Retirement Savings Accounts), AVCs company pension plans (Additional Voluntary Contributions), PRBs (Personal Retirement Bonds) and Annuities. 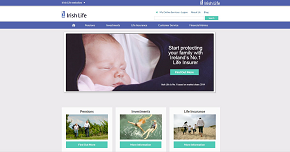 Our protection product range includes group life assurance cover, income protection and voluntary cover. Your dedicated account manager can provide you with further information on these products. We also offer a wide range of investment options, including the hugely popular and successful Personal Lifestyle Strategy (PLS). 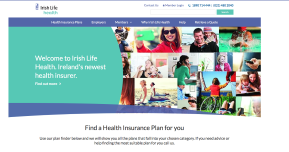 We can call on the expertise of Irish Life Investment Managers (ILIM), the largest investment company in Ireland with extensive knowledge and experience. This means that clients will always be up-to-date on potential investment solutions that will be most appropriate for them. A dedicated account manager will look after your individual requirements on each group pension scheme. Your account manager will provide you with any technical support and assistance in scheme design or transition. Your service manager will look after the ongoing service requirements on each company pension scheme. Regular service meetings and service reports will be issued to update you on the schemes we administer for your clients. We offer general Technical Support to trustees and financial advisers in relation to pension and industry related matters. In our monthly newsletters we provide you with regular updates on our products and services as well as what's happening in the pension industry. To sign up to the newsletter please contact your account mangers or simply register online. We offer a wide range of online tools that we hope you, as well as your client and pension scheme members, find useful. Our award winning Pension Planet Interactive is an online tool that allows you to get up-to-date information on a pension scheme, including pension contributions, values and fund information and lets you process leaving service options, add or update member details and check documents and correspondence in the Document Library. To find out more about Pension Planet Interactive, click here. Our online annuity quote calculator called Pension Choice provides an efficient annuity quotes facility on our affinity products. Our online pension calculator called Pension Prophet is essential for members to predict what level of retirement fund they can expect. We would like to hear from you and welcome all comments how to improve our products and services. Please contact your account manager or service manager with your queries and suggestions. In addition, we carry out a survey every year, to gather your feedback. An independent research company conducts the survey on our behalf. We have a large number of funds on offer in our group pension schemes and we aim to keep you updated on how these are performing. The latest monthly fund information is available in the investment sections of our website. 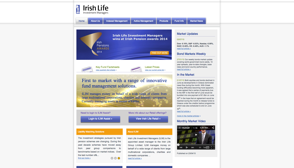 We also provide weekly and monthly investment commentaries from the Irish Life Investment Managers. We have all our application forms and product literature available in the download centre of this website. Click here for an Adviser's Guide to Pensions which is also available in bline.